More than 50 million adults across the world are suffering from arthritis. Actually, arthritis refers to 100 different types of joint diseases and related conditions. Out of all these, two types of arthritis are very common – Osteoarthritis and Rheumatoid Arthritis. Regardless of any type, common symptoms of arthritis include – pain, stiffness, inflammation and decreased motion range in the joints. These symptoms can be mild, moderate or severe depending on the arthritis level. Chronic arthritis can result in difficulty in walking, climbing stairs, permanent joint changes and severe pain. Permanent cure for arthritis is still not available. Using medications like NSAIDs for pain relief have potential side effects over the long term. However, there are many things that can be done to get relief from pain and improve joint functionality. Taking natural alternatives for pain and inflammation relief, reducing weight, doing simple physical exercises are helpful for leading a normal life. Natural alternatives for arthritis treatment include turmeric, apple cider vinegar, aloe vera and ginger. 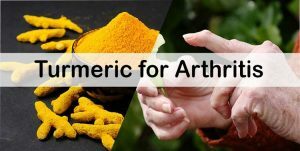 In this article, let’s know why turmeric is effective for arthritis and how it can be used to reduce discomforts caused by arthritis. Let’s have a look at turmeric's benefits and supporting statements on its use for people suffering from arthritis. There are many effective and proven ways of using turmeric for arthritis. We have listed them below for you. You can try any one of them as per your convenience. Sprinkle ¼ teaspoon of turmeric everyday on scrambled eggs, add it into soups, sauces, and salad dressings. After one week increase the turmeric intake to ½ teaspoon. After one month increase the quantity to 1 teaspoon. Follow this daily to prevent the joint pains and inflammation. Or Stir a tablespoon of turmeric into a glass of warm milk and drink this night time to get relaxed sleep without any pain. 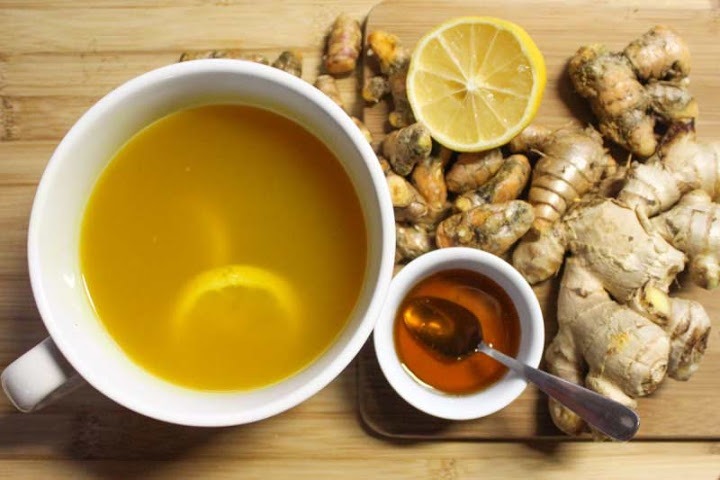 The phytonutrients known as gingerols and shagoals are present in ginger and provide relief from inflammation, pain, prevent cartilage destruction caused by arthritis. Apart from that, ginger can increase curcumin effect on the body. Peel and chop 1 inch of ginger and turmeric root. Add ginger and turmeric to it. Simmer for 10 minutes and remove from the flame. Cover and let it steep for another 10 minutes. Strain, add honey to taste and consume while it is still lukewarm. Note: you can add 1/2 teaspoon of ginger powder and turmeric powder instead of fresh ones. Peperine present in black pepper makes the curcumin more absorbable by the body. As per some studies, curcumin absorption increased by 200% when consumed with peperine. Combine 1/3 cup of honey, 2 1/2 teaspoons of ground turmeric into a paste. Store this mixture in a jar for 2 weeks. Into a cup of hot water, add 1 teaspoon of the mixture and mix well. Now add lemon juice and 1/2 teaspoon of black pepper. Stir well and consume while it is still lukewarm. Note: You can replace black pepper with cayenne pepper. The curcumin present in turmeric can be absorbed easily by our body when combined with fats like coconut oil. Apart from the coconut oil also helps to reduce the inflammation. This turmeric wrap is also helpful to reduce joint pain and increase mobility. Combine 1 teaspoon of turmeric powder with enough coconut oil to make a paste. Apply the mixture on painful joints and secure with a bandage. Leave it on for 3 hours. Repeat the process whenever necessary. The below process explains step-by-step process of making turmeric ointment. Its application provides relief from joint pain, inflammation, and stiffness. Combine ½ cup of water and stir in ¼ cup of turmeric. Reduce the heat and let it simmer for 7 minutes, stirring constantly. The solution will turn into a paste. Add few drops of water if the paste gets too dry. Pour the mixture into an airtight container and store in the refrigerator. Apply the mixture to sore joints and leave it on for 15 minutes. Repeat the application regularly to get rid of arthritis pain and inflammation. Melt 2 teaspoons of coconut oil. Separate two egg yolks and beat them until smooth. Stir in 1 tablespoon of turmeric and melted coconut oil into the egg yolks. Blend the mixture on high speed for 30 seconds. Drink 2 times daily to treat arthritis. Boil a quart of water and stir in 1 tablespoon of turmeric powder. Note: After 4 hours, the curcumin percentage drops from 10% to 6% and gradually lowers over time, so drink it as soon as possible after preparation. As per a research published in International Immunopharmacology, fenugreek contains anti-inflammatory and antioxidant properties. Apart from that it also contains iron, vitamins, flavonoids, saponins, trigonelline and other alkaloids. 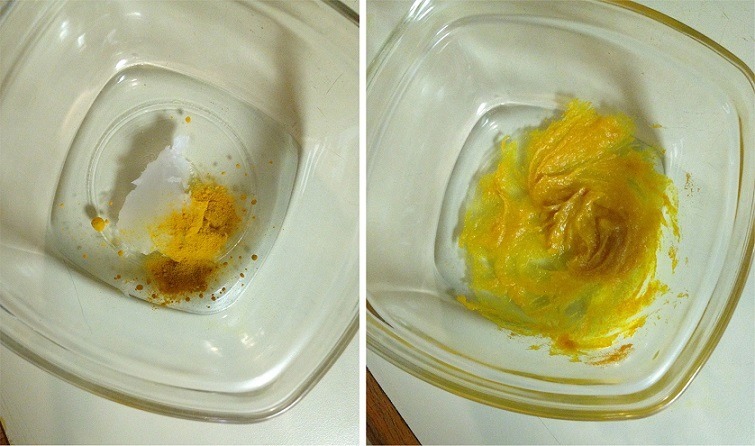 Mix equal quantities of turmeric powder, ginger powder, and fenugreek powder. Stir one teaspoon of this mixture into a glass of hot water. Drink twice daily to get complete relief from arthritis and pain. Lemongrass contains anti-inflammatory properties which suppress the activity of cyclooxygenase-2, an enzyme which is responsible for joint inflammation and pain. Pre-heat your oven to 150 degrees. Melt 2 cups of coconut oil and then pour it into a glass oven dish. Mix 5 tablespoons of turmeric powder, 5 tablespoons of cayenne pepper, and 1 ounce of dried lemon grass into it. Store the solution at room temperature in an airtight container. Apply this solution to painful joints whenever required. As per some studies, cartilage afflicted with degenerative arthritis contains subnormal levels of sulfur. DMSO solution contains high amounts of sulfur. It also contains potent anti-inflammatory properties and easily absorbed by the skin. Mix 1 tablespoon of 70% DMSO solution with 2 tablespoons of turmeric powder to make a paste. Rub into sore joints and let dry. Alternative: secure the application with a plastic or saran wrap, apply heating pad, and leave it on 30 minutes. Note: Add more water if the application is causing any irritation. Mix 1 teaspoon each of turmeric, powdered lime, and saltpeter to make a paste. Lime/lemon juice is a rich source of citric acid which helps to reduce inflammation and pain. This process is very effective for treating arthritis caused by uric acid deposits in the bones. Mix 2 tablespoons of turmeric with 1 tablespoon of lime juice. Add this to a small amount of boiling water to make a thick paste. Apply the mixture to sore joints. Repeat regularly to get relief from pain. If you don’t like taking turmeric in raw form then you can opt for turmeric capsules. These capsules are helpful in reducing inflammation, pain, stiffness and other problems caused by arthritis. Dosage: For Osteoarthritis – 400mg to 600mg 3 times per day. For Rheumatoid Arthritis – 500mg 2 times per day. Warning: People who take blood-thinning medications, are undergoing surgery, have gallbladder issues, are pregnant, or breastfeeding should not take turmeric capsules. Bromelain enzyme is extracted from pineapples. Eating pineapple along with turmeric has shown a great improvement in reducing the arthritis pain. If you don’t like eating pineapple then you can take bromelain capsules for the same. Consume turmeric or turmeric capsules along with bromelain for effective results. Bromelain Dosage: 400mg 1 – 2 times in a day. Warning: people who are allergic to pineapple, latex, carrot, fennel, grass pollen, papain, celery, and wheat should not take bromelain in any form. Consumption of bromelain should be stopped before 2 weeks of surgery as it can increase chances of bleeding. Pregnant and breastfeeding mothers should not take bromelain capsules. Psoriatic arthritis is a chronic form of inflammatory arthritis which can develop in people suffering from psoriasis. As per National Psoriasis Foundation, the anti-inflammatory properties of turmeric have been effective in treating the psoriasis arthritis. You can add turmeric to your daily food or try any remedy mentioned above or consume turmeric capsules for relief. Taking these supplements along with turmeric treatment helps to provide results quickly. It is better to consult a doctor before taking any supplement to know the proper dosage as per your medical history. Food that contains omega-3 fatty acids has amazing anti-inflammatory properties. Foods rich in this include: fatty fish like salmon/mackerel, flaxseeds, chia seeds, walnuts, fish roe, seafood, soya beans and spinach. If you don’t have sufficient time to eat then you can take them through supplements. Dosage: 2.6g per 2 times in a day. Vitamin D helps to maintain blood calcium levels. It helps to regulate calcium and phosphorous levels to keep the bones and teeth hard. So, this vitamin is very important if you are suffering from arthritis. You can get vitamin D from sun exposure, fortified foods, wild fish, and cod liver oil. If you are unable to get proper vitamin D from natural sources then try take supplements. Curcumin, an active component present in turmeric is not suitable for everyone. Some people may react with a severe rash which signals an allergy. Turmeric capsules may cause digestive distress in some people. If you are experiencing any of them avoid taking turmeric for arthritis treatment. People taking warfarin (Coumadin) should avoid taking turmeric as it can increase the anti-clotting effect. Turmeric can also interact with other anticoagulants like clopidogrel or even aspirin. So, make sure you don’t take turmeric while taking anticoagulants. Turmeric might lower blood sugar levels. People taking diabetes medication should avoid consuming high amounts of turmeric or curcumin. It is better to monitor the sugar levels as it can sometimes drop the levels too low. People who are suffering from kidney stones should avoid considering turmeric for arthritis treatment. As turmeric is high in soluble oxalate which increases the possibility of kidney stone formation. People taking blood thinning medications or who are undergoing surgery should avoid taking turmeric in either raw or supplement form. Pregnant or breastfeeding women should avoid taking turmeric capsules. Discuss the interactions with raw turmeric consumption with your gynecologist before consuming it. Recent studies show that turmeric, when used regularly, may also reduce the risk of prostate cancer in men. The following guidelines provide few things to consider while suffering from arthritis. Make sure to have a look at them as well. Always stay active to improve quality of your life. It helps to strengthen your muscles and bones. It helps to keep your joints more flexible. Maintain a healthy weight to reduce the extra weight burden on the joints. Eat a balanced diet rich in omega fatty acids, vegetables, green leafy, nuts, olive oil, avocado, fish and lean meats. Sleep well to cope up with the pain. Place pillows below the legs to take the pressure off the painful joints. If you have sleepless nights regularly then talk to your doctor. Reduce your stress levels as it can create havoc in your immune system. Try to use cold or hot packs to get relief from the pain and inflammation. Stay positive as your mental health can have a big impact on how well your body can function. Perform slight exercises to increase and maintain the mobility of the joints. Start implementing turmeric consumption and other tips provided in this article to get relief from the discomforts of arthritis. If you have any queries or suggestions, write to us in the comment section below. And don’t forget to share your experience with us as it can help others suffering from the same situation you have been through. how much we should be taking. 1 – 3grams of turmeric root is enough to consume. Can I take Tumeric if I take maloxicam ? It is better to consult your doctor to check if turmeric interacts with this maloxicam. Hey Rajee. Two years ago I got an awfull and painfull sciaticapain in my right leg. A doctor in the hospital in San José, Costa Rica examened the situation and did let take some foto´s. A disk between two vertebras in my back came out and irritated the sciataca nerv, that became severly inflamed. Painkillers and Glucosamine pulver had to help me of this problema within three months he told me. But I had the same pain all the time and after three months there was no progression. A friend told me about cúrcuma and I began searching on the Internet. I did find an article where the autor wrote that cúrcuma not was very easy adapted by the body and that it had to be mixed with cocosoil or extra virgen olive oil. He als advised to ad a little bit of ground black pepper to enhanche the effects of cúrcuma. I did take this medecine three times a day and within three months the pain was gone and I could walk as never before. I am still taking the cúrcuma in this way for the atritis in my right hip and that is becoming better and better every day. Sorry for my English but I am Dutch. Thank you for reading my a Little bit long story. While at Costco to purchase Turmeric pills/capsules, I ask a Costco employee where they were located. She said buy the spice; it’s more effective. She also said to mix 1/2 tsp in warm water with a squeeze of lemon, a bit of honey, and a sprinkle of cinnamon. Looked it up on line and 1/2 tsp appears to be normal – I converted tbs to grams and divided by 6. The 1/2 tsp matched that recommended by the sites consulted. That 1/2 tsp once a day is much, much lower than what is recommended here. Please explain. The safe dosage of turmeric consumption for arthritis is 1 tablespoon per day. For external application you can use as per your convenience. Very Useful information about Turmeric. Turmeric has got so many medicinal benefits it is best antioxidant and it also cures with respiratory tract diseases. 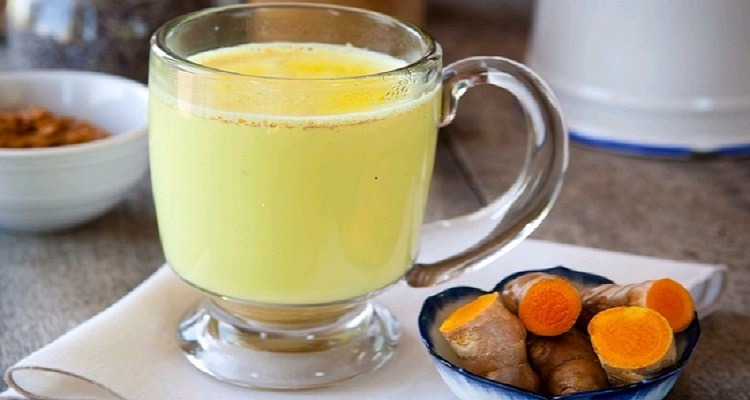 For Arthritis , Turmeric with other combination gives really satisfactory results. Thank you for sharing this information. I have recently developed pain in one knee-probably caused by arthritis….I just began taking one 538 mg capsule of Turmeric extract (Curcuma longa-root) a day. Should I take more than one capsule a day or stick with that and take some turmeric powder too each day-if so-how much? Consult a doctor to know the exact dosage of turmeric capsules as it depends on individuals health history. How much of each ingredient do you use for this? Also, will the peanut butter and honey help with the absorption of the turmeric? 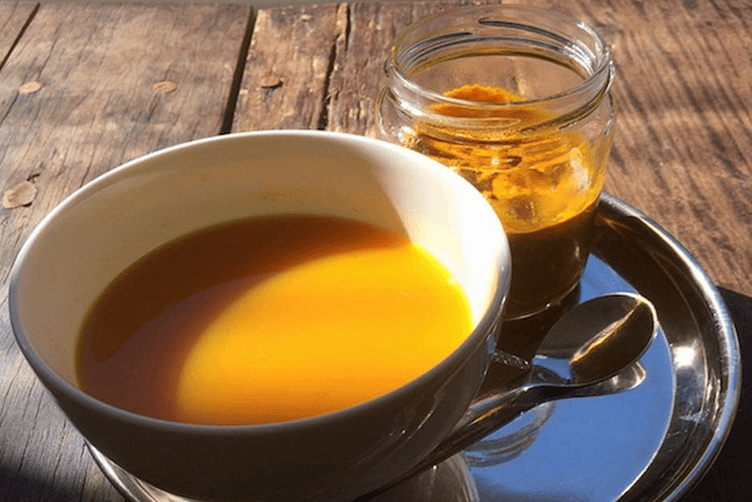 ½ teaspoon of turmeric and 1 tablespoon each of honey and almond butter. This combination should work fine. Honey helps to increase the absorption of curcumin in turmeric. Try any method mentioned in the above article regularly. Apart from that take omega 3 fatty acids, drink pomegranate juice regularly and increase vitamin C and E content in daily diet. Yes, turmeric is completely safe and easily digestible by our body. In fact, it is used in preparing several dishes as well. So, don’t worry about it and try the remedies regularly. Hi, I am 27 years old and Have RA. I get severe morning stiffness and pains daily and had to take 2-3 painkillers a week to keep me active. Could you please suggest how much turmeric I should take daily to reduce stiffness and pains, so that I need not to take pain killers so often. Any other home remedies are also welcome. 1 teaspoon of internal consumption should be enough to treat arthritis. For topical application, you can follow 10th or 11th methods. I just wanna ask, how to deal with the orange looking skin after using a paste for joints. I look like orange. Thak you. Dip a cotton swap or ball into raw milk and gently rub on the orange looking skin. The milk cleanse the turmeric stains. Everytime I eat turmeric powder on food or drink a tea made with fresh turmeric root I get a bit of a runny nose within 15 minutes or so which lasts for about a half hour. I was hoping that it was just stuff loosening up, since I have allergy and sinus issues, but now I’m a bit concerned whether or not it is an allergic reaction to the turmeric. Otherwise it doesn’t give me any problems. Any thoughts? Try turmeric method for 2 days continuously and check if you are facing the same. If you are experiencing the same, then avoid turmeric methods and try any other ingredient. Thanks admin. I was diagnosed with RA in 2012. Been on medication since and the pain on my joints (shoulders, knees and fingers) is on and off. Thanks for the above advise. Will try turmeric methods. Got some advise about apple cider vinegar, turmeric, black pepper, olive oil and honey. I have been using tumeric for two years and it helps a lot with reducing the pain and inflamation in my hands from osteoarthritis. I liquidise about 150gm fresh raw tumeric root and 80gm fresh raw ginger chopped roughly with a mug of water. I boil the mixture for 2 or 3 minutes and then keep the thick “soup” in the fridge in a clean covered jam jar. I have kept the mix for 10 days on occasion, but it may lose efficacy. I drink about a tablespoonful topped up with boiling water to a mug full every two or three days. Be careful as the tumeric stains everything, hands, chopping board, etc. It also can stain your teeth. I have the advantage of being able to remove my dentures. If you have your own teeth, you could try using the capsules, or maybe a straw?